The guqin (simplified/traditional: 古琴; pinyin: gǔqín; Wade–Giles ku-ch'in; pronounced ; literally "ancient stringed instrument") is a plucked seven-string Chinese musical instrument of the zither family. 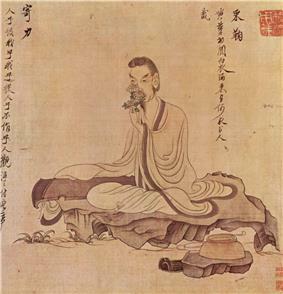 It has been played since ancient times, and has traditionally been favored by scholars and literati as an instrument of great subtlety and refinement, as highlighted by the quote "a gentleman does not part with his qin or se without good reason," as well as being associated with the ancient Chinese philosopher Confucius. 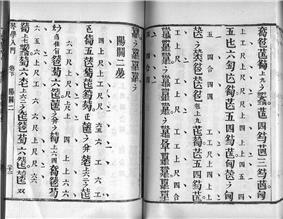 It is sometimes referred to by the Chinese as "the father of Chinese music" or "the instrument of the sages". The guqin is not to be confused with the guzheng, another Chinese long zither also without frets, but with moveable bridges under each string. Some schools have come and gone, and some have off-shoots (such as the Mei'an school, a Zhucheng school offshoot). Often, the school is originated from a single person, such as the Wu school which is named after the late Wu Zhaoji. The style can vary considerably between schools; some are very similar, yet others are very distinct. The differences are often in interpretation of the music. Northern schools tend to be more vigorous in technique than Southern schools. But in modern terms, the distinction between schools and styles is often blurred because a single player may learn from many different players from different schools and absorb each of their styles. This is especially so for conservatory trained players. People from the same school trained under the same master may have different individual styles (such as Zhang Ziqian and Liu Shaochun of the Guangling school). The tones of qin can be categorized as three characteristic "sounds." The first type is san yin (散音), which literally means "scattered sound".It's the ground frequency produced by plucking a free string with right hand fingers. . Plunking a string with right hand and gently tapping specific note positions on the string with left hand will create a crisp and mellifluous sound named "fan yin" (泛音), or overtune harmonics. The important note scale,called "hui"and marked by 13 glossy white dots made of mica or seashell in the front side of qin,are places of positive integer dividends of the string length.Crystal concordant overtune can't be evoked unless strings are precisely tapped to these "hui"s. The third is an yin (按音 / 案音 / 實音 / 走音), or "changing sounds. "It consists major cadences of most qin pieces. To play,the musician presses a string to a specific pitch on surface board with a thumb, middle or ring finger of his left hand(depending on the distance from him), then strike it with his right hand,sliding left hand up and down to verify the note. 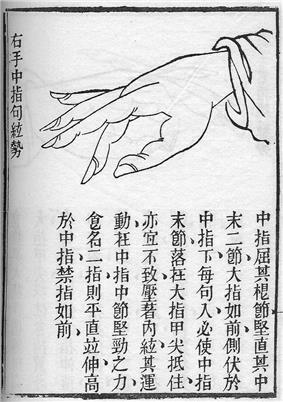 This technique is similar to playing a slide guitar across the player's lap, however, the manipulation of qin is much more multifarious than that of a guitar,which has only around 3 or 4 main techniques. . 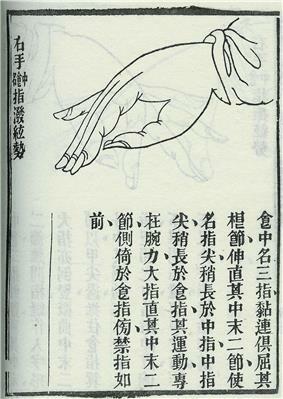 According to the book Cunjian Guqin Zhifa Puzi Jilan, there are around 1,070 different finger techniques used for the qin, with or without tablature. Therefore, qin is probably the one with the most playing techniques in both Chinese and Western instrument family. 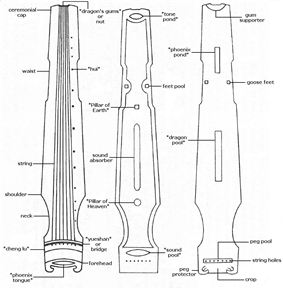 Most of qin's techniques are obsolete, but around 50 of them still exist in modern performance. Ancient guqins were made of little more than wood and strings of twisted silk. Ornaments included inlaid dots of mother-of-pearl or other similar materials. Traditionally, the sounding board was made of Chinese parasol wood firmiana simplex, its rounded shape symbolising the heavens. The bottom was made of Chinese Catalpa, catalpa ovata, its flat shape symbolising earth. Modern instruments are most frequently made of Cunninghamia or other similar timbers. The traditional finish is of raw lacquer mixed with powdered deer horn, and the finishing process could take months of curing to complete. The finish develops cracks over time, and these cracks are believed to improve the instrument's sound as the wood and lacquer release tension. An antique guqin’s age can be determined by this snake like crack pattern called "duanwen" (断纹). When the qin is played, a number of aesthetic elements are involved. The first is musicality. In the second section of "Pingsha Luoyan", for example, the initial few bars contain a nao vibrato followed by a phase of sliding up and down the string, even when the sound has already become inaudible . The average person trained in music may question whether this is really "music". Normally, some players would pluck the string very lightly to create a very quiet sound. For some players, this plucking isn't necessary. Instead of trying to force a sound out of the string one should allow the natural sounds emit from the strings. Some players say that the sliding on the string even when the sound has disappeared is a distinctive feature in qin music. It creates a "space" or "void" in a piece, playing without playing, sound without sound. In fact, when the viewer looks at the player sliding on the string without sounds, the viewer automatically "fills in the notes" with their minds. This creates a connection between player, instrument and listener. This, of course, cannot happen when listening to a recording, as one cannot see the performer. It can also be seen as impractical in recording, as the player would want to convey sound as much as possible towards a third audience. But in fact, there is sound, the sound coming from the fingers sliding on the string. 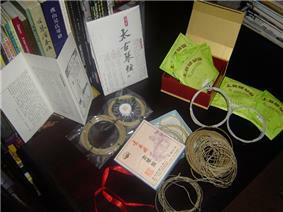 With a really good qin, silk strings, and a perfectly quiet environment, all the tones can be sounded. Since the music is more player oriented than listener oriented, and the player knows the music, he/she can hear it even if the sound is not there. 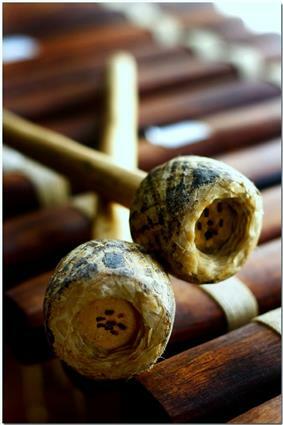 With silk strings, the sliding sound might be called the qi or "life force" of the music. The really empty sounds are the pauses between notes. However, if one cannot create a sound that can be heard when sliding on a string, it is generally acceptable to lightly pluck the string to create a very quiet sound. The below recordings were made in 2013. ^ Zhang Yushu et al.. Kangxi Zidian 【康熙字典】. Folio 28. ^ Yin, Wei. Zhongguo Qinshi Yanyi 【中国琴史演义】. Pages 1-10. ^ Yang, Xin et al. (1997). Three Thousand Years of Chinese Painting. Page 122. ^ Zhou, Zi'an. Wuzhi Zhai Qinpu 【五知齋琴譜】. 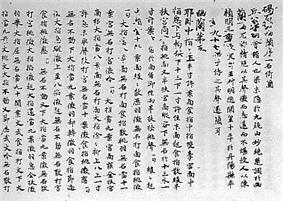 Volume 1, folio 1, leaf 18-28. ^ Guo, Ping. 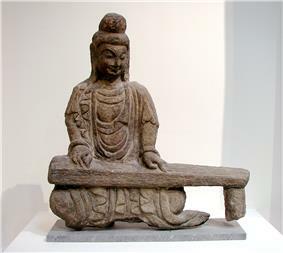 Guqin Congtan 【古琴丛谈】. Page 112. ^ Zhang, He. Qinxue Rumen 【琴學入門】. 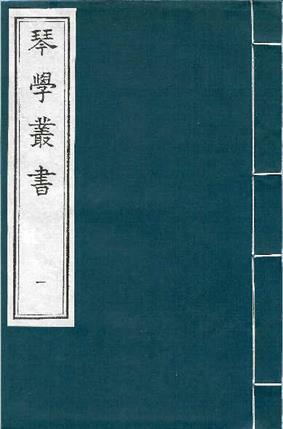 Volume 1, leaves 39, 40, 43 and 47. ^ Zhu, Quan. Shenqi Mipu 【神竒秘譜】. ^ Zha, Fuxi. Cunjian Guqin Qupu Jilan 【存見古琴曲譜輯覽】. Pages 3-44. ^ John Thompson: Misuse of the words "silk strings"
^ Gong, Yi. Guqin Yanzhoufa 【古琴演奏法】. Page 11 and 13. ^ "Charlie Huang's Facebook Notes: How not to string". Facebook.com. Retrieved 2010-05-22. ^ Rawski, E. Evelyn & Rawson, Jessica (ed.). CHINA: The Three Emperors 1662—1795. Pages 117, 126 and 127. ^ Zhou, Zi'an. Wuzhi Zhai Qinpu 【五知齋琴譜】. Volume 1, folio 2, leaf 10.